What's to Love: The Ice King is probably one of the most tragic and hilarious characters in the Land of Ooo, but we've never had the chance to really focus on him before. 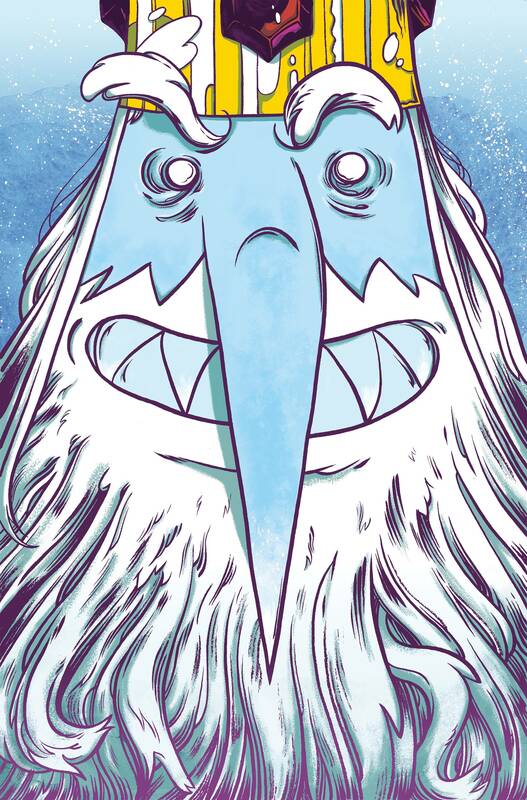 Now we're taking a look at just what makes the Ice King tick with Emily Partridge (Adventure Time) and artist Natalie Andrewson (Lumberjanes). What It Is: The Ice King has always been there, kidnapping princesses, messing with Finn and Jake, and generally being a weirdo. But there's way more to him than that! He's a deep, thoughtful person with a heart full of love! Or...maybe he just really wants to marry a princess. Either way, this is one journey the citizens of Ooo aren't likely to forget!